For most riders, the always-evolving 'trail' category is the sweet spot. Combining all-day pedaling efficiency and capable descending geometry with versatile and reliable componentry, these machines can fly up climbs and rip singletrack descents for the quintessential mountain-bike experience. Norco's newest trail bike offering is the Optic, which will be available in five models (two with carbon front triangles and three versions with full-aluminum frames) and each bike in the line is offered in both 29-inch and 650b wheel sizes. At the heart of the Optic is Norco's A.R.T. suspension, which is its iteration of the four-bar Horst Link design. Norco says the suspension has been refined to provide supple small-bump absorption for optimal traction, yet remains progressive enough to handle rugged, high-speed terrain. Norco utilizes Boost 148 rear-hub spacing to help accommodate the same rear-center length for both the 650b and 29er models, plus it provides ample frame clearance for wider and more aggressive tire options. Norco's mission for the Optic: capture the right mix of cross-country bike efficiency with a touch of longer-travel all-mountain bike playfulness. 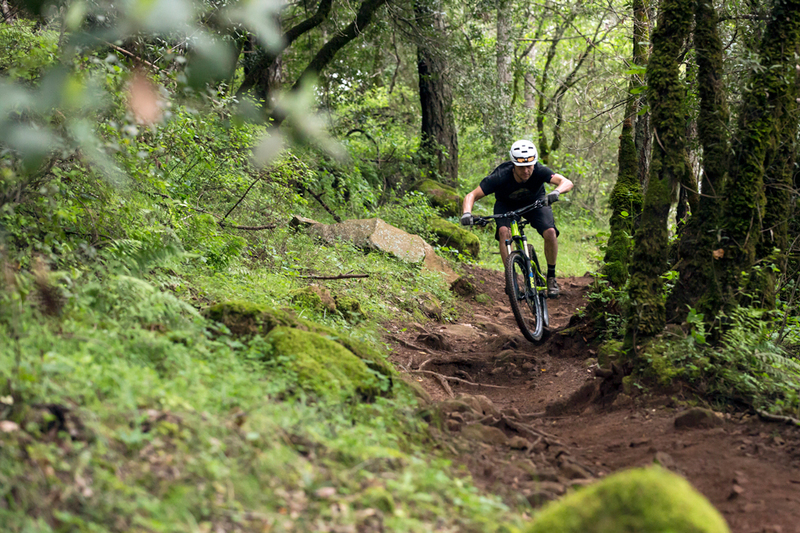 I recently put down a handful of laps on both 29er and 650b offerings on the sweet terrain of Santa Rosa, California. Norco's stance on rider position and frame sizing is a bit different than many brands. The folks at Norco implement what's known as 'Gravity Tune,' which gives large frames longer rear-center measurements than smaller ones. The chainstays are the same length across all sizes, but the bottom bracket moves forwards on larger frames, creating a longer rear-center. Norco feels that this sizing strategy ensures that a rider's weight is always optimally distributed over the bike regardless of his or her height, and provides equal ride characteristics across all frame sizes. Other than the tooth count of the front chainrings, all five Optic models are spec’d identically between the 29er and 650b versions. I had the opportunity to ride the Optic C9.2 29er (view geometry) and the 650b Optic C7.2 (view geometry), which, other than wheel size and travel, are the same bike. 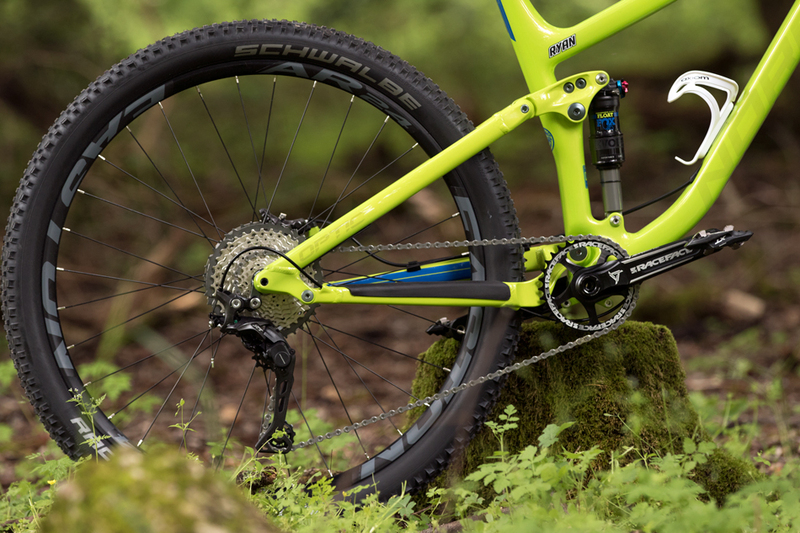 The 29er Optic C9.2 has 110 millimeters of rear-wheel travel controlled via Fox's Float DPS Performance Elite EVOL shock. The front of the bike is equipped with a 120-mil-travel Fox 34 Float Performance Elite fork with Boost spacing and a 15mm thru-axle. The 650b Optic C7.2 features the same squishy bits, but the frame achieves 120 millimeters of rear wheel travel and is matched with a 130-mil-travel fork. Both Optics I rode were equipped with Shimano XT brakes and XT 1×11 drivetrains with RaceFace Turbine cranksets. It's worth mentioning that Norco stashes a front derailleur, shifter and a 36/26 chainrings in the box for riders preferring to run a 2×11 drivetrain. 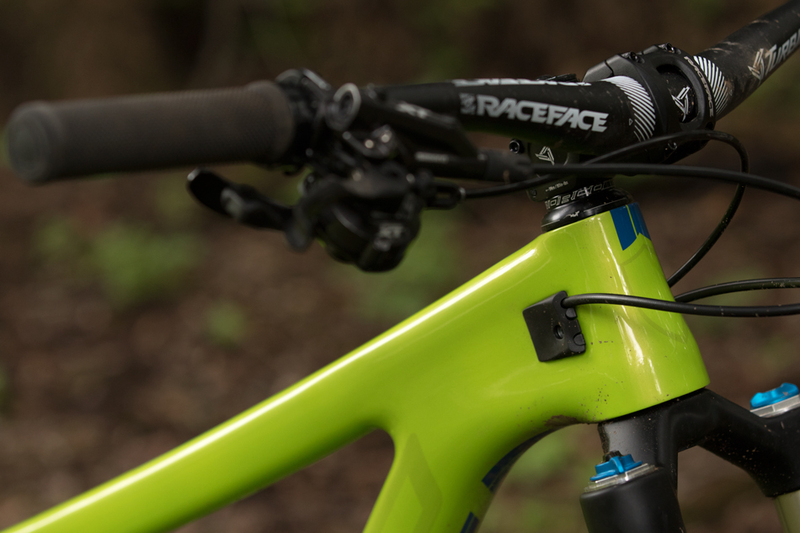 Cables run internally through the front triangle on the carbon Optics, and externally on the alloy versions. Although the two Optics are spec'd the same, they have only a half-degree difference in head angle (68.5 degrees for the 29er and 68 degrees for 650b) and are designed for the same intended use, the more laps I did on the two bikes the more their performance differences revealed themselves. 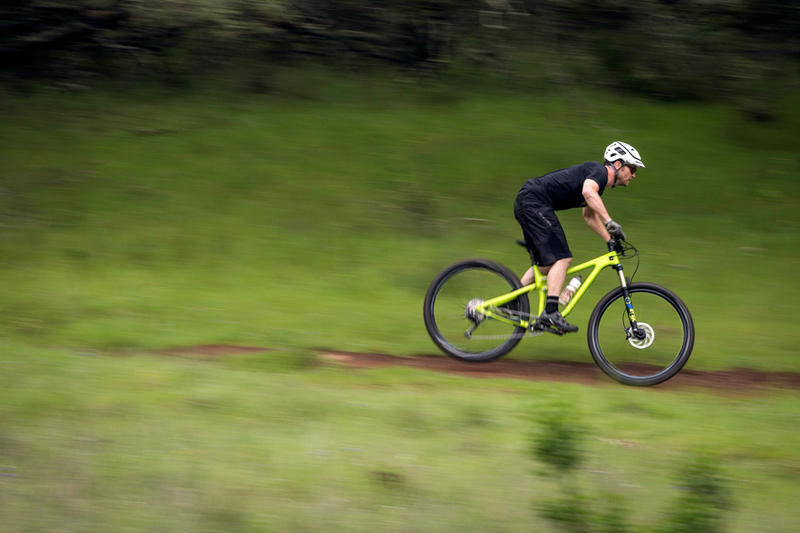 On the flowing terrain of Annadel State Park, the Optic C9.2 displayed its pedaling prowess. The bike quickly gets up to speed, and although the the Fox shock offers three compression settings (open, lockout and smooth trail) I opted to run the shock in the open setting at all times. The bike pedaled well in this setting, and the increased traction on loose, slippery and unpredictable climbs was appreciated. Like the shock, I also ran the fork the open setting, but added a few clicks of low-speed compression to keep the bike stable from unwanted rider-induced movement, and to keep the front end from diving under hard cornering. The Optic 29er makes easy work of baby-head rocks and large roots, and once up to speed, maintains momentum quite well. When climbing aboard the Optic 29, I felt as though I was on a traditional cross-country machine, but once pointed downhill the refined trail-oriented geometry kept the bike playful and lively. The 650b Optic has only 10 millimeters more front and rear travel than the 29er, and although that doesn't seem like much, the differences in handling characteristics revealed themselves rather quickly. Like the 29 version, the Optic C7.2 is an efficient pedaler, however when compared to the 29er it didn't feel as though it covered as much ground with each pedal stroke and rotation of the wheel. On the flipside, I felt the 650b model handled tricky sections of high-speed and slippery terrain with more ease than its larger-wheeled sibling. Although this might be splitting hairs between two similar bikes, I would equate this first impression to the slight increase of travel and playfulness of the slightly smaller wheel size. With five models, each available in two wheel size, and prices from $2599 to $7199, the Norco Optic offers a variety options designed for the cross-country influenced trail rider looking for a capable singletrack machine. Visit Norco.com for more on the Optic.